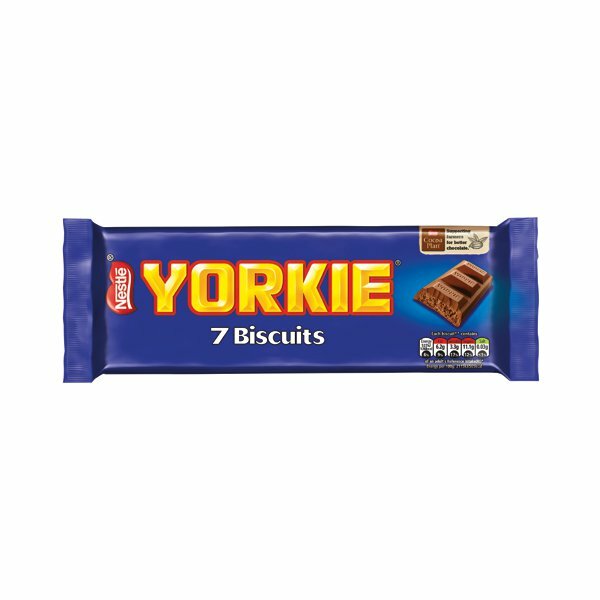 Nestle Yorkie Biscuit (Pack of 7) 12130127 - Norwich Office Supplies - Office Stationery and Furniture for Norfolk with Delivery to all of the UK. Get all your Computer Supplies, Print Consumables, Presentation Equipment, Paper, Desking & Seating Right Here! 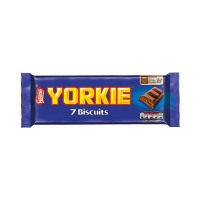 When you need to really get your teeth into something sweet, nothing beats a Yorkie bar. A series of chunky chocolate slabs made from unadulterated creamy milk chocolate, this is a sweet treat that doesn't mess around. This pack of seven bars is ideal for meetings or treating others in your office or at home. When you're under pressure and that deadline is looming, a Yorkie will get you through the day.